6 Subscribers onlyTropical fruits cooling off? Watts Farms in Kent has grown the largest volume of watermelons ever produced on British soil, replicating techniques used in Spain and other European growing countries. The producer has supplied Asda with 1,000 of the fruit this summer, working with the UK’s cooler, wetter conditions, which can make melon production difficult. 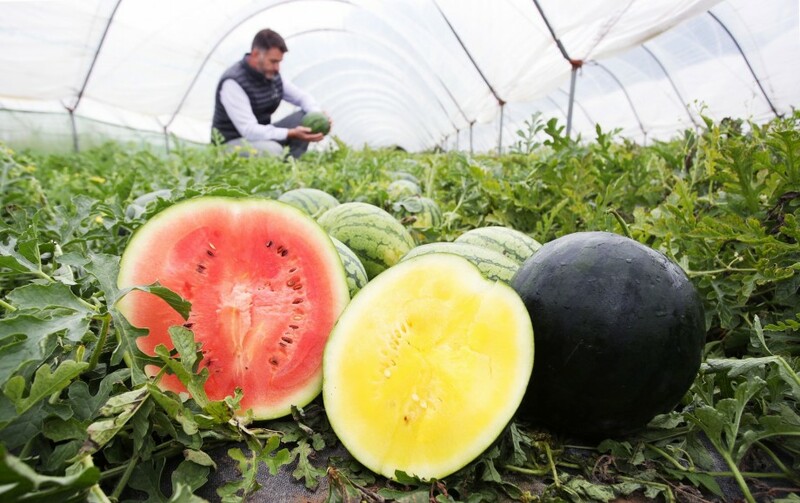 In an effort to champion local produce and ensure year-round supply of the product, Watts Farms has grown its watermelons in polytunnels with insulated soil so that heat is created naturally, helping to produce sweet fruit. Grower Joe Cottingham said: “We’re always looking at ways in which we can adopt innovative growing techniques to try and become more self-sufficient here in the UK and provide customers with more choice when it comes to the British produce they see on shelf. In addition to the locally-grown melons, Asda predicts the sale of over two million watermelons this year, indicating the high demand for the fruit, which contains significant levels of vitamins A, B and C.
Next year will see the launch of yellow watermelons at Asda after Cottingham successfully grew 300 on a trial basis this summer. The product has the same taste and consistency as its red counterpart. Asda’s 1,000 red watermelons will be available in selected stores from 12 September, retailing at £3 each.